Miller Electric Mfg. 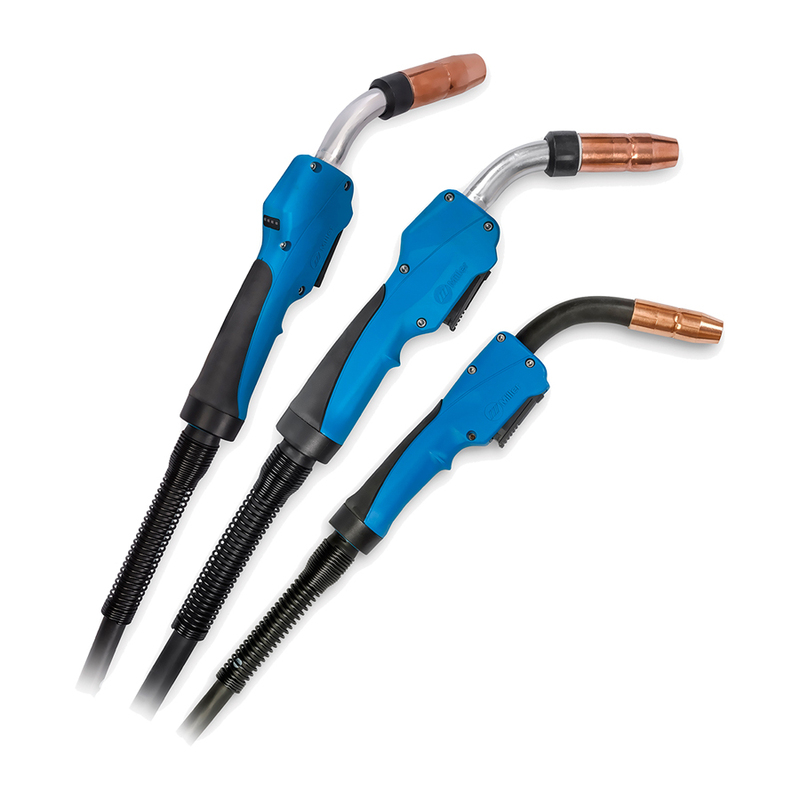 LLC introduced MDX Series MIG guns that feature a durable and ergonomic handle with a rubber overmolding for improved grip, while the addition of a ball and socket handle swivel reduces fatigue. AccuLock Series consumables provide good wire feed path. The front-loading liner locks in place and aligns concentrically with the contact tip and power pin to optimize wire feeding. Error-proof liner trimming, with no measuring required, reduces burnback, birdnesting and erratic arc caused by liners that are too short.